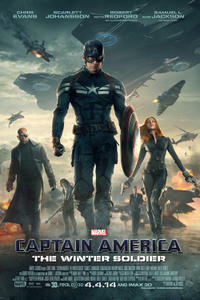 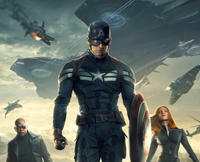 Chris Evans as Steve Rogers and Samuel L. Jackson as Nick Fury in "Captain America: The Winter Soldier." 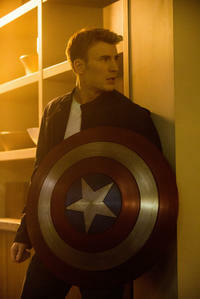 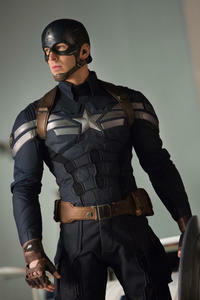 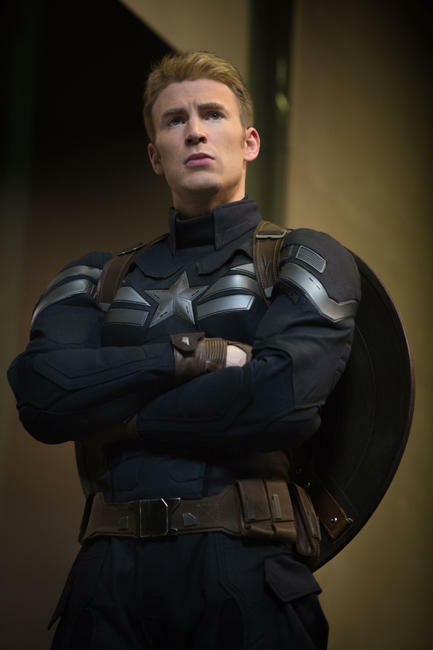 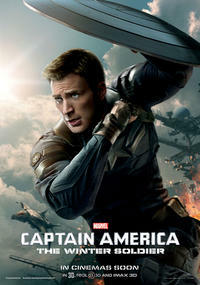 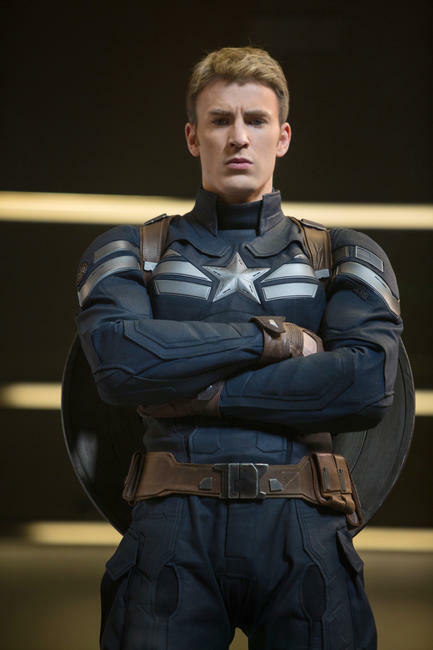 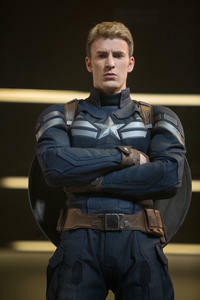 Chris Evans as Steve Rogers in "Captain America: The Winter Soldier." 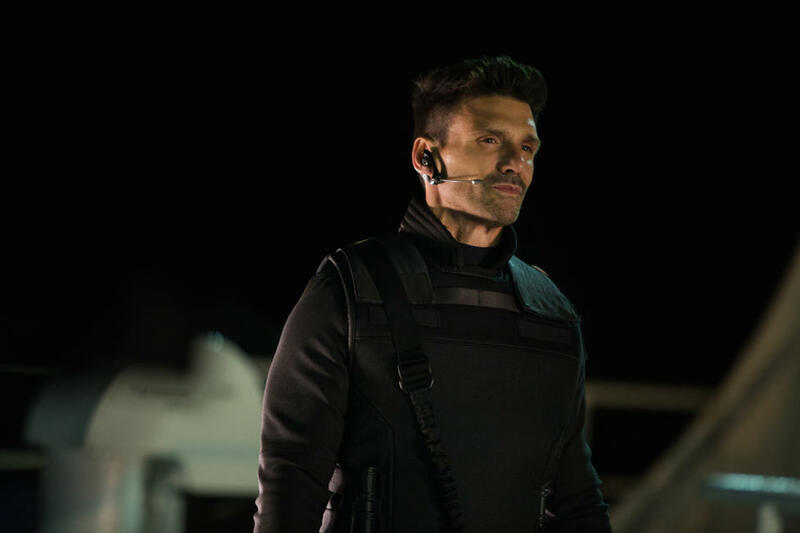 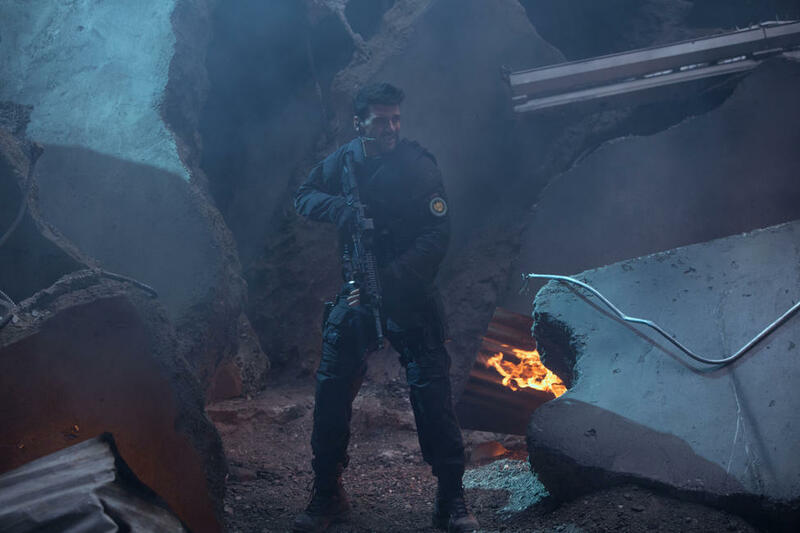 Frank Grillo as Brock Rumlow in "Captain America: The Winter Soldier." 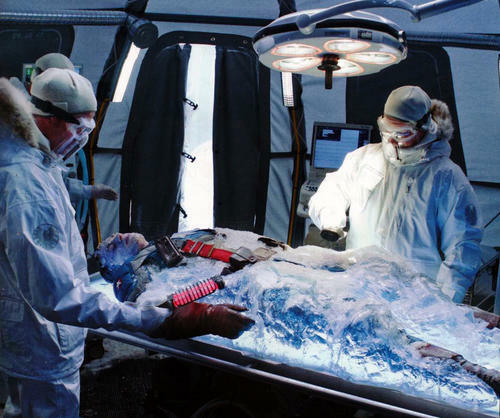 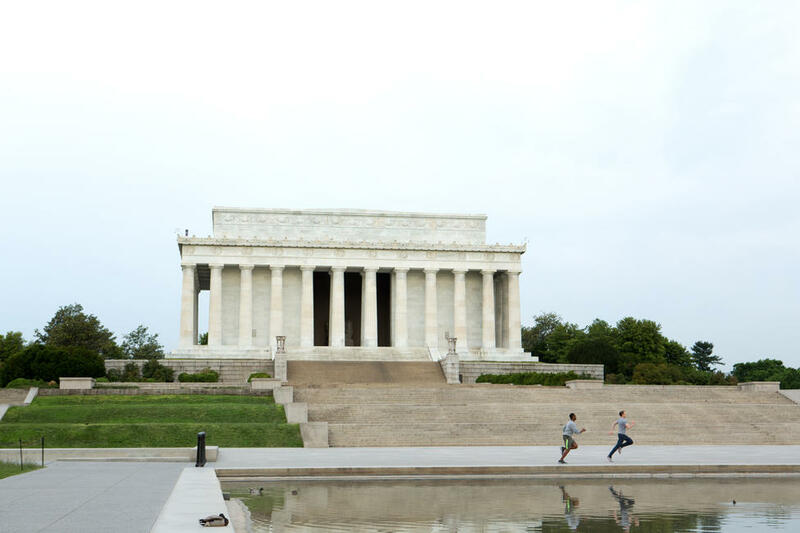 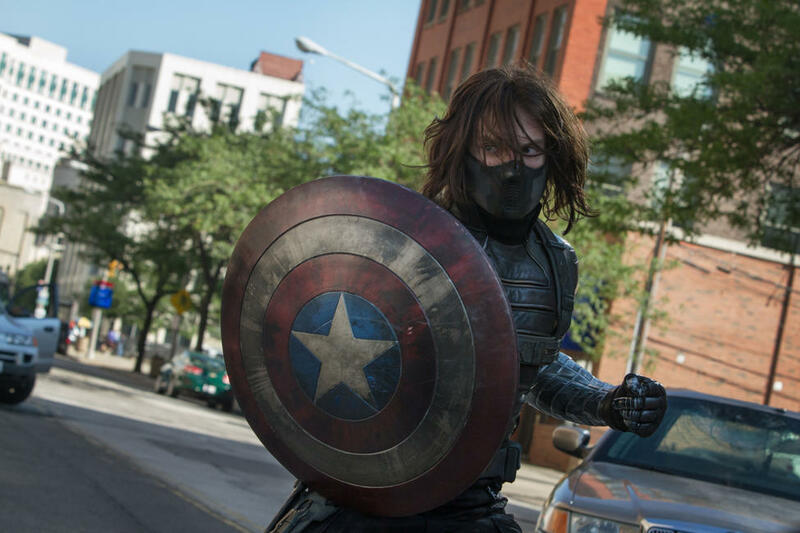 A scene from "Captain America: The Winter Soldier." 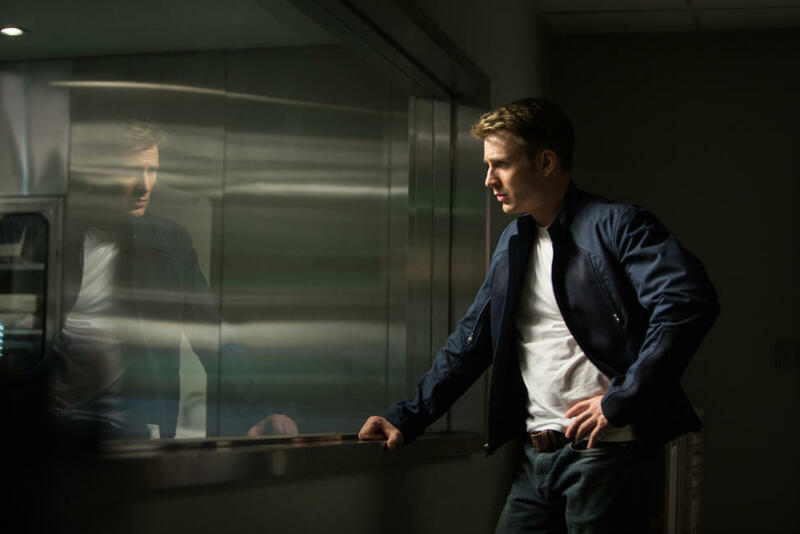 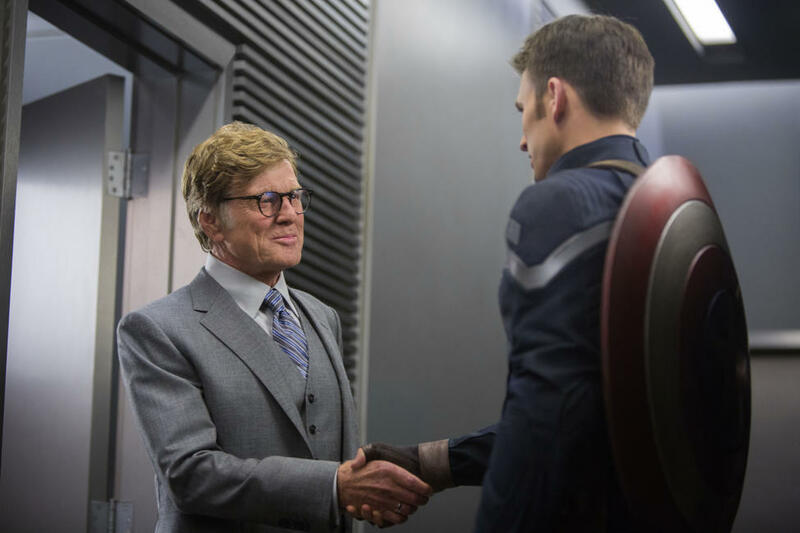 Robert Redford as Alexander Pierce and Chris Evans as Steve Rogers in "Captain America: The Winter Soldier." 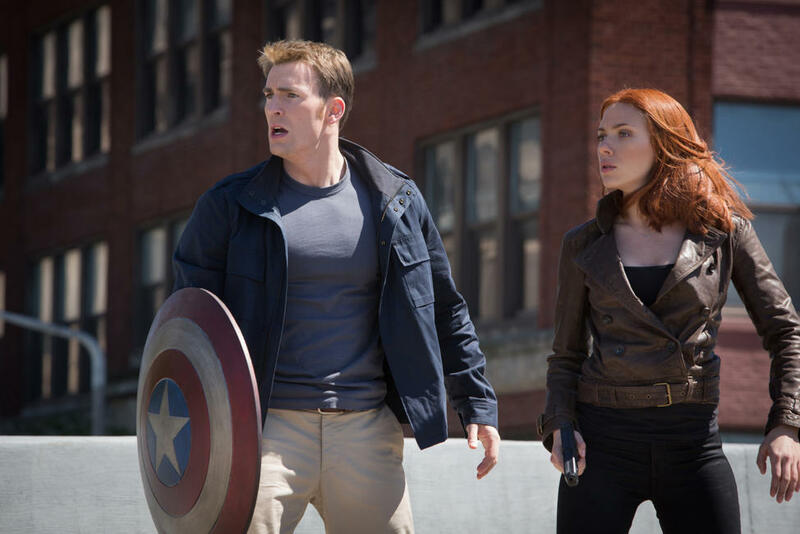 Chris Evans as Steve Rogers and Scarlett Johansson as Natasha Romanoff in "Captain America: The Winter Soldier." 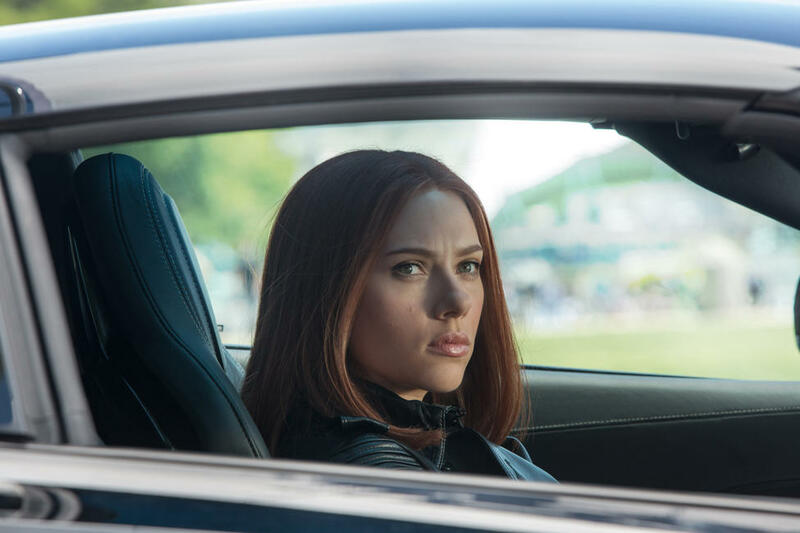 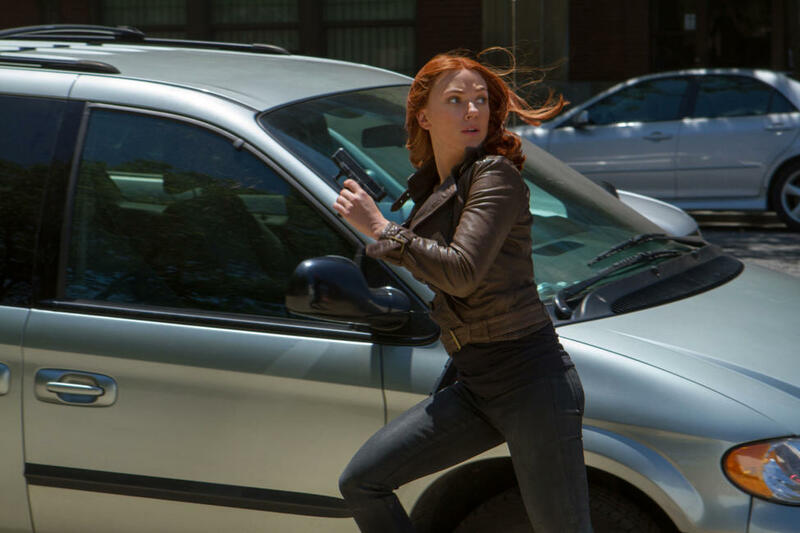 Scarlett Johansson as Natasha Romanoff in "Captain America: The Winter Soldier." 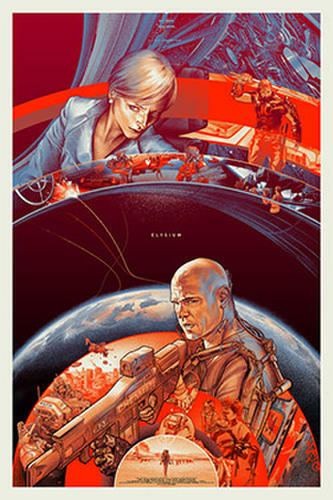 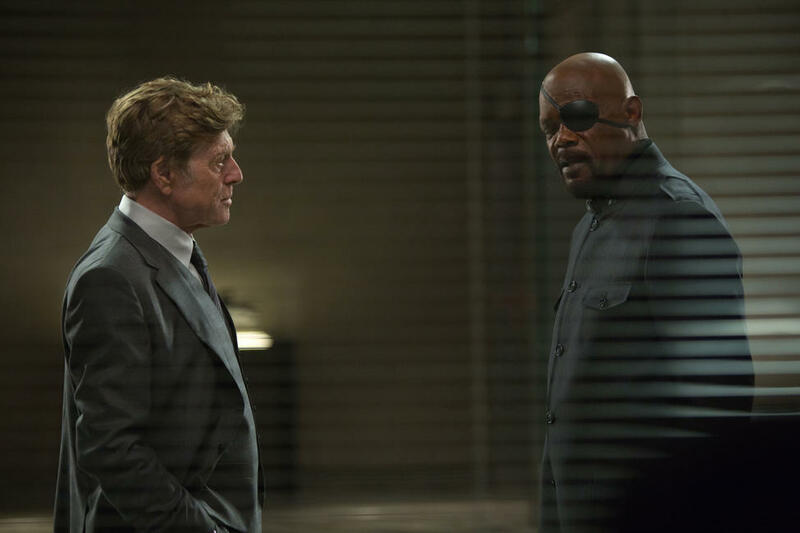 Robert Redford as Alexander Pierce and Samuel L. Jackson as Nick Fury in "Captain America: The Winter Soldier." 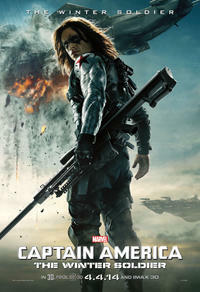 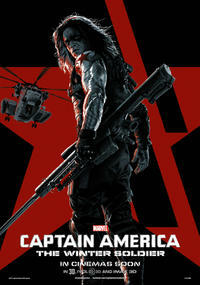 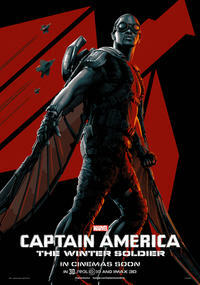 Sebastian Stan as Winter Soldier in "Captain America: The Winter Soldier." 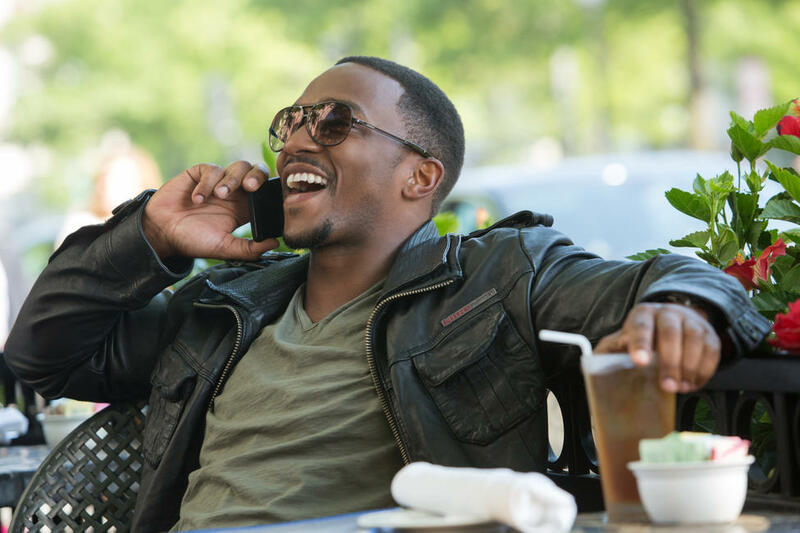 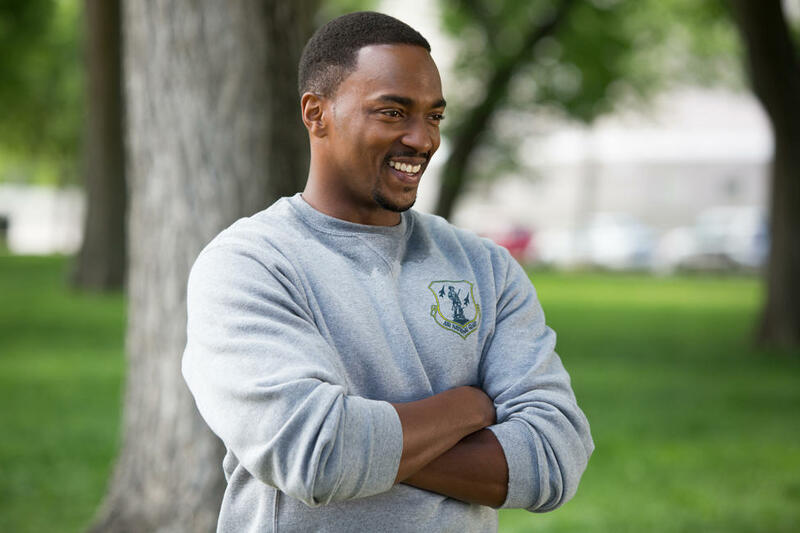 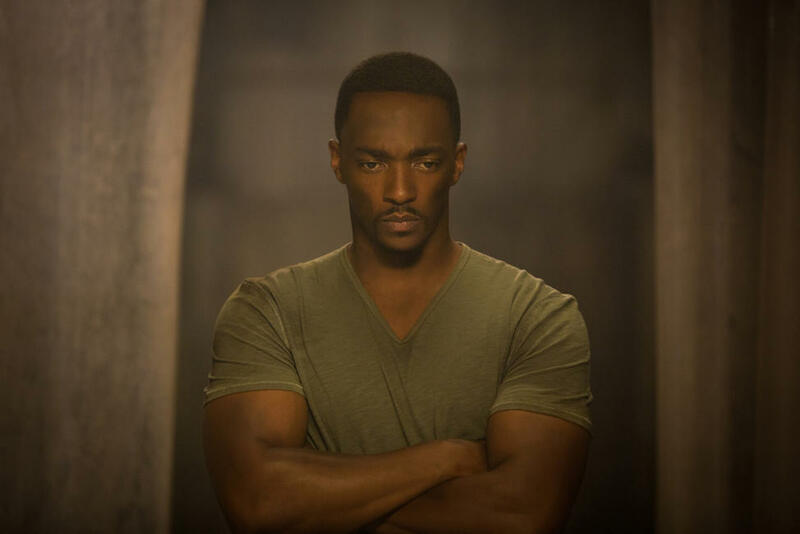 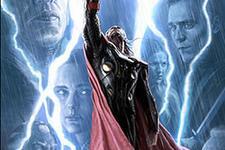 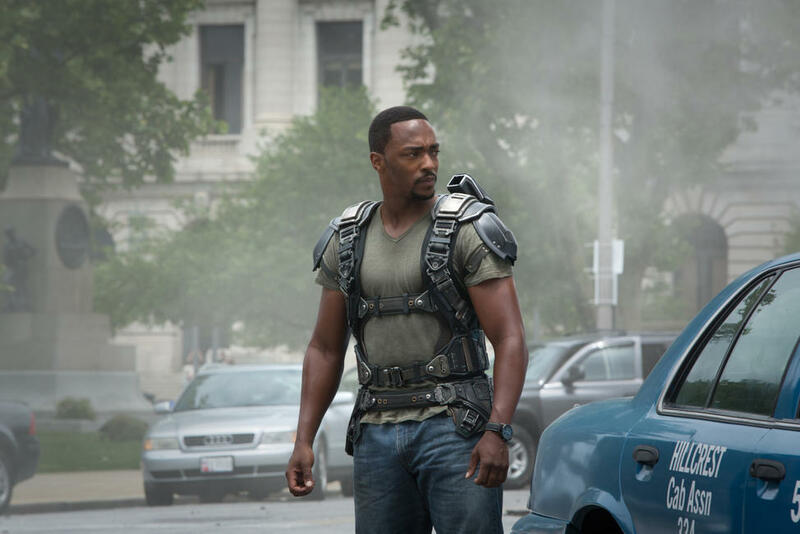 Anthony Mackie in "Captain America: The Winter Soldier." 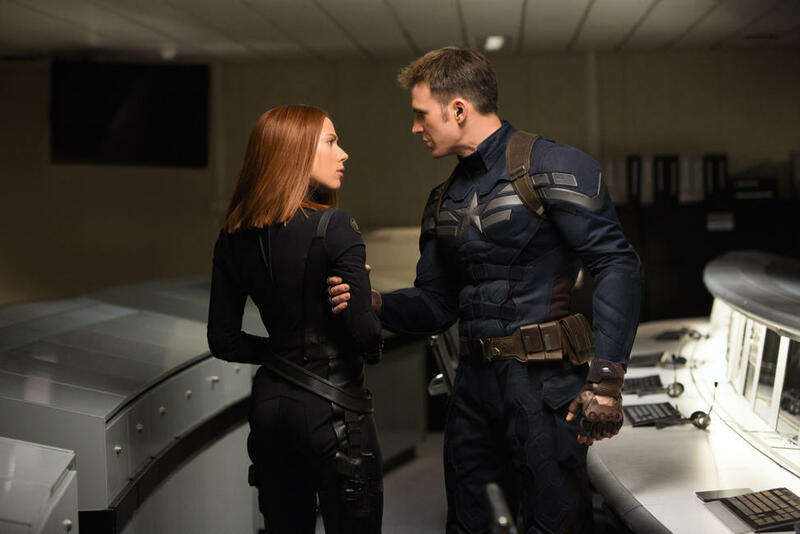 Chris Evans as Captain America and Scarlett Johansson as Black Widow in "Captain America: The Winter Soldier." 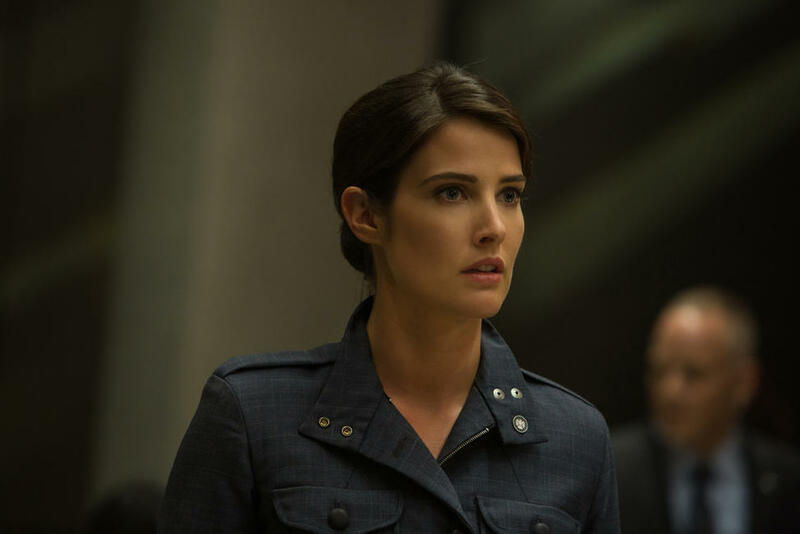 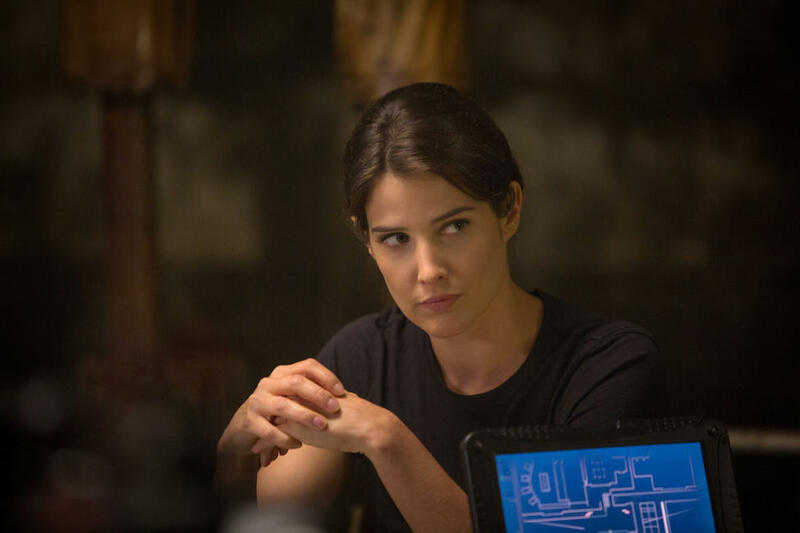 Cobie Smulders as Maria Hill in "Captain America: The Winter Soldier." 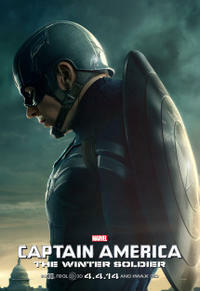 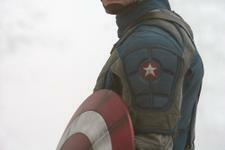 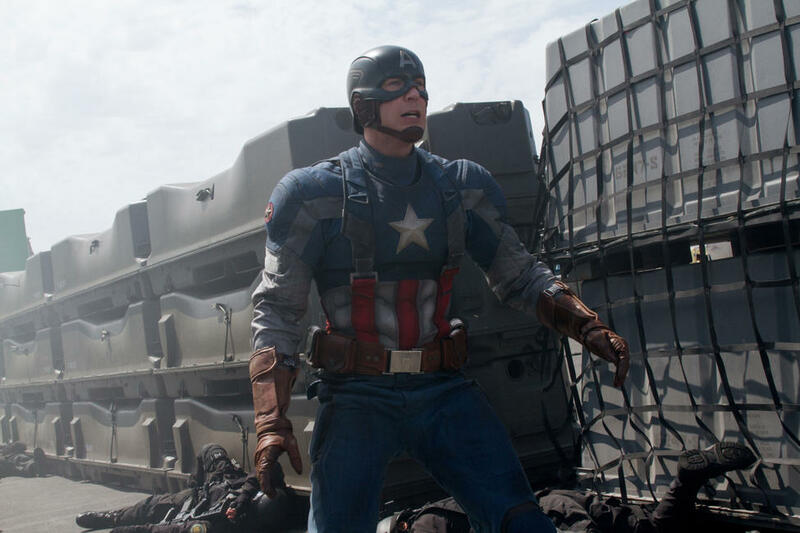 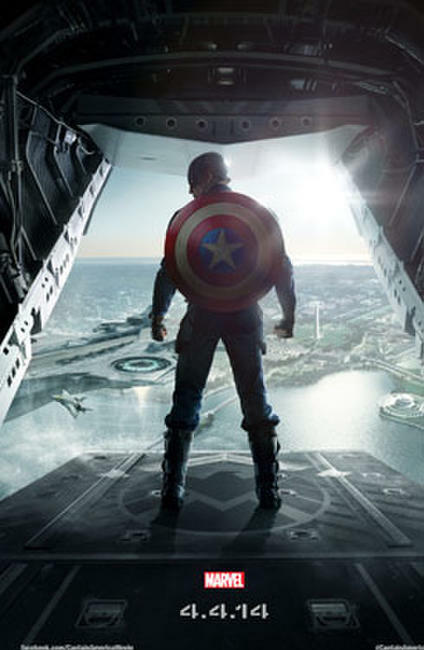 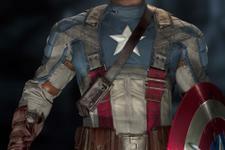 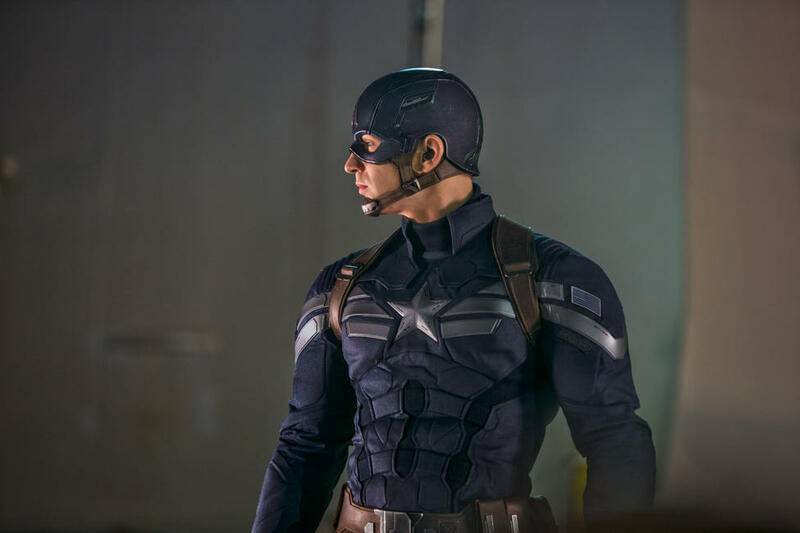 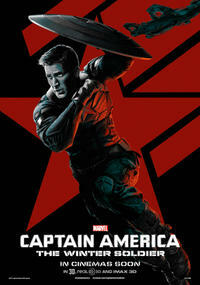 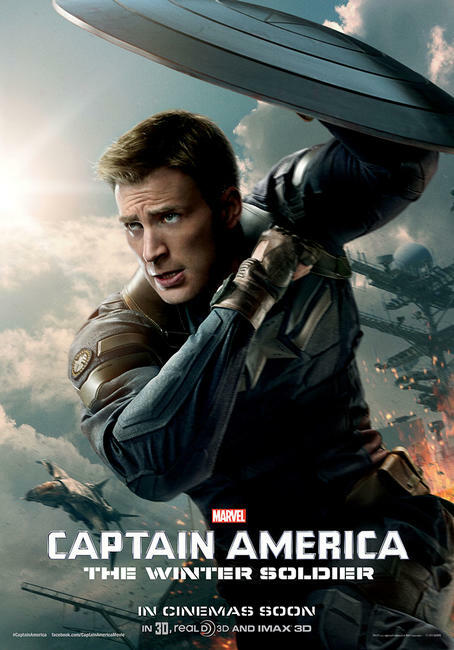 Chris Evans as Captain America in "Captain America: The Winter Soldier." 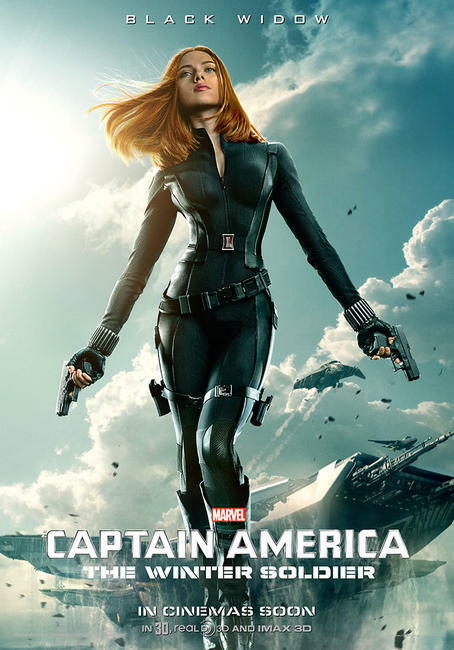 Scarlett Johansson as Black Widow in "Captain America: The Winter Soldier." 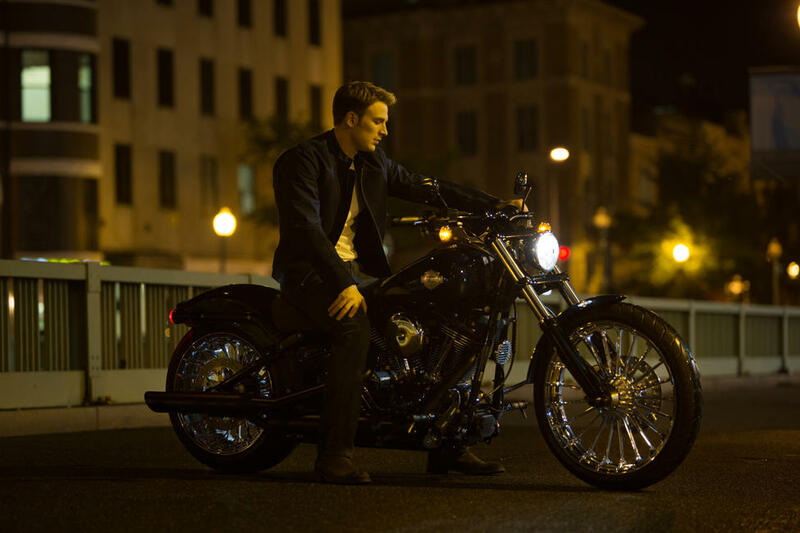 Chris Evans as Captain America and Sebastian Stan as Winter Soldier in "Captain America: The Winter Soldier." 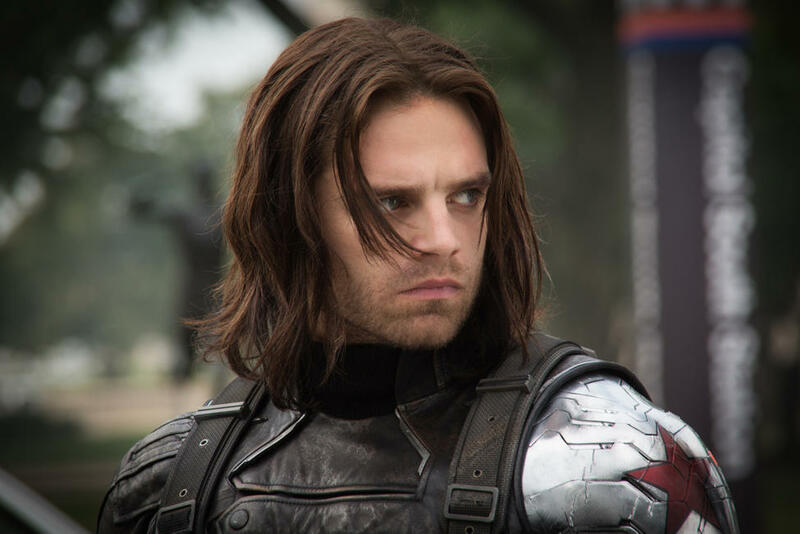 Sebastian Stan in "Captain America: The Winter Soldier." 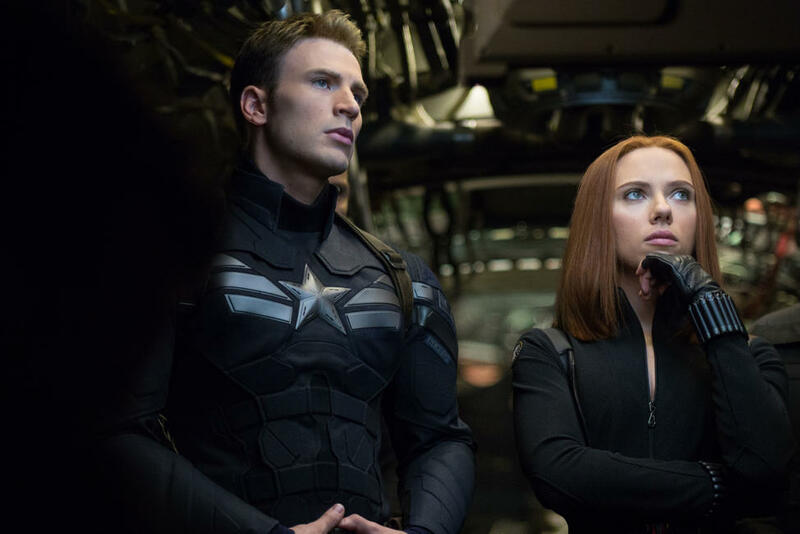 Scarlett Johansson as Black Widow and Chris Evans as Captain America in "Captain America: The Winter Soldier." 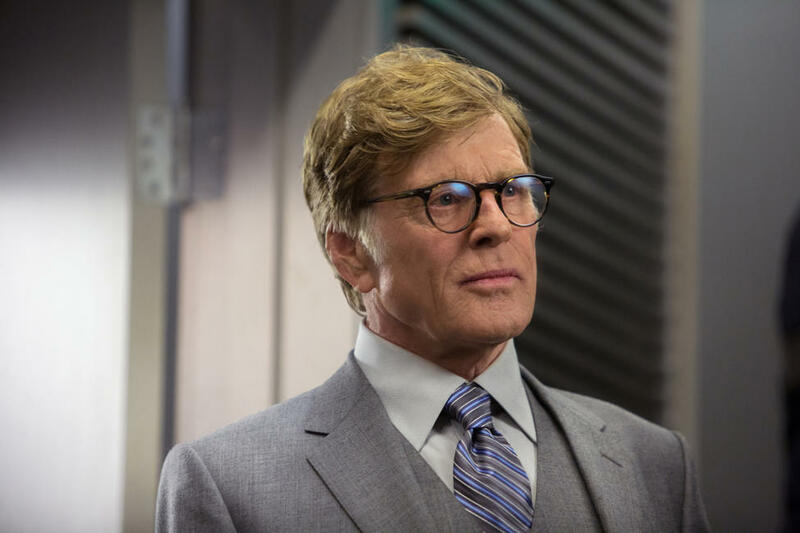 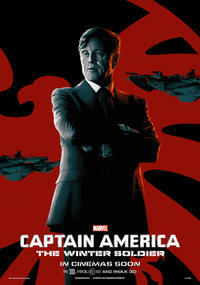 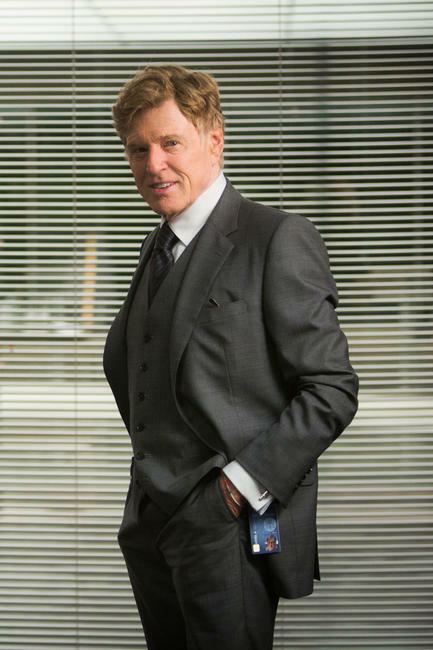 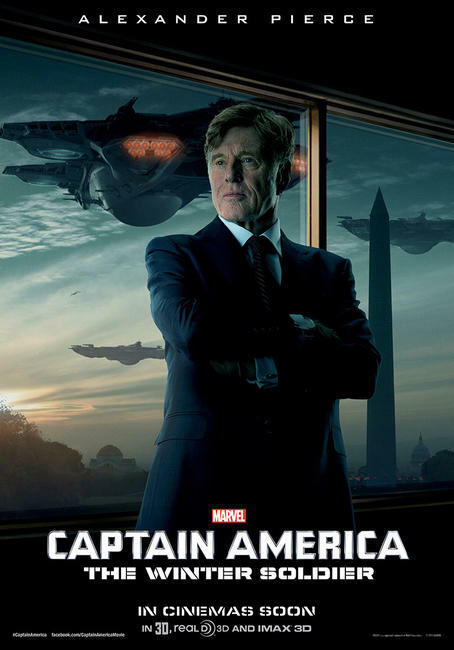 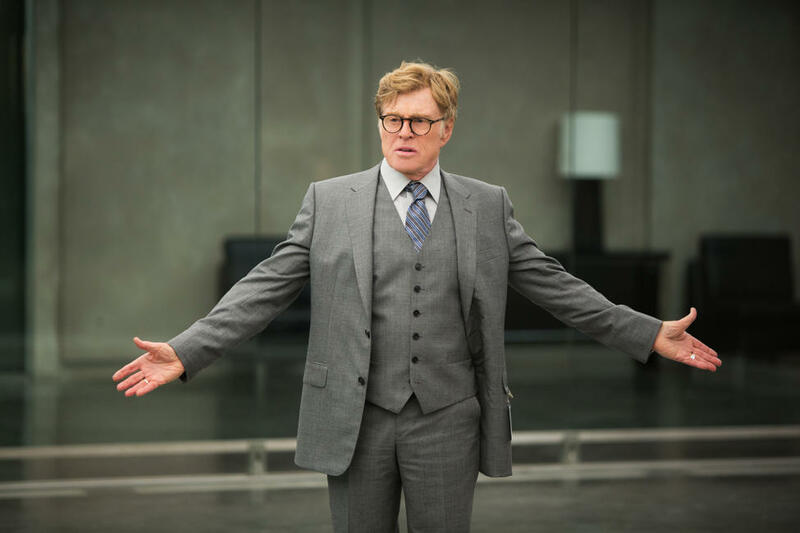 Robert Redford as Alexander Pierce in "Captain America: The Winter Soldier." 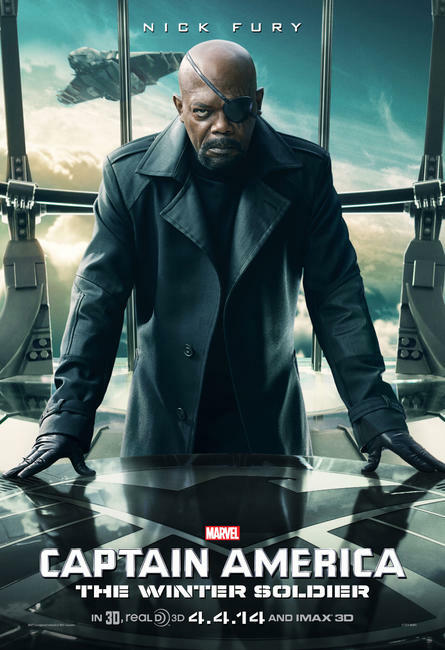 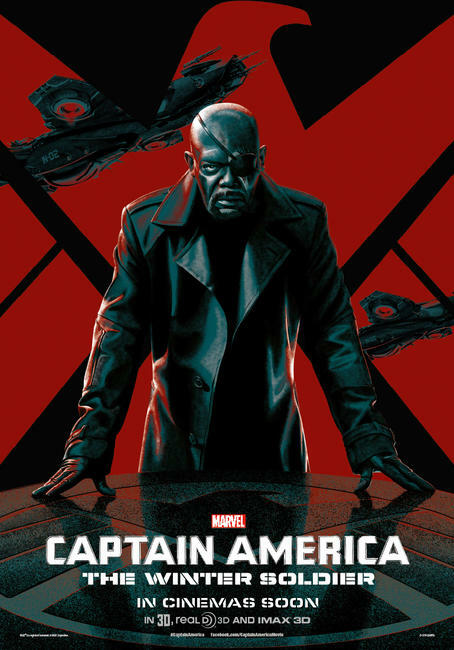 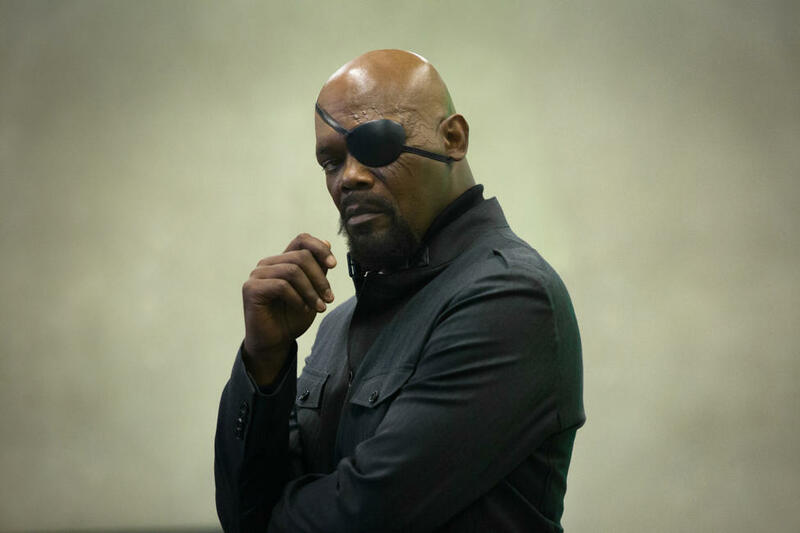 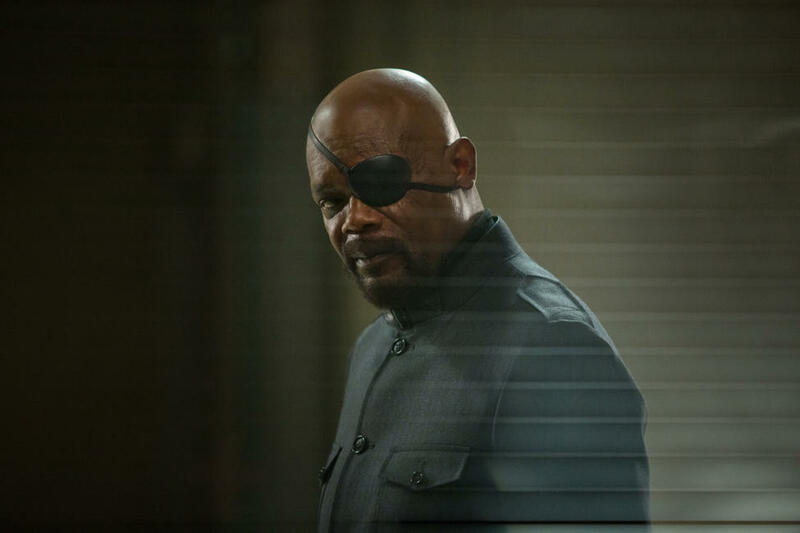 Samuel L. Jackson as Nick Fury in "Captain America: The Winter Soldier." 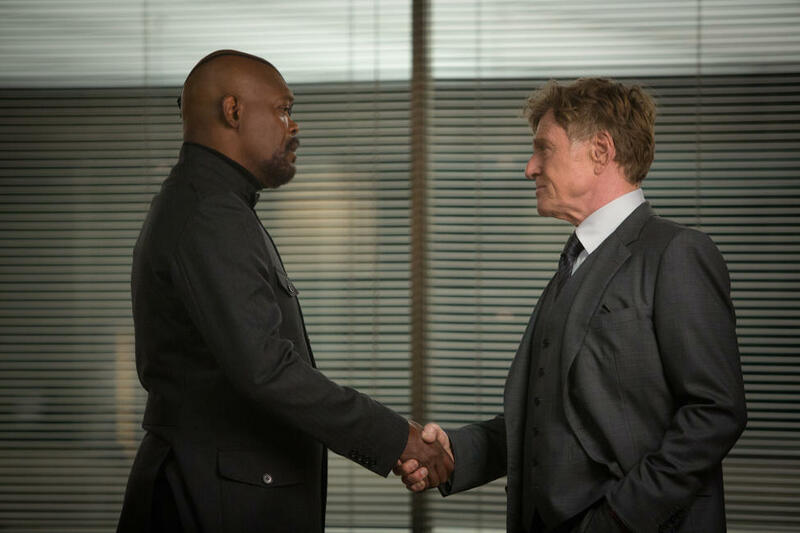 Samuel L. Jackson as Nick Fury and Robert Redford as Alexander Pierce in "Captain America: The Winter Soldier." 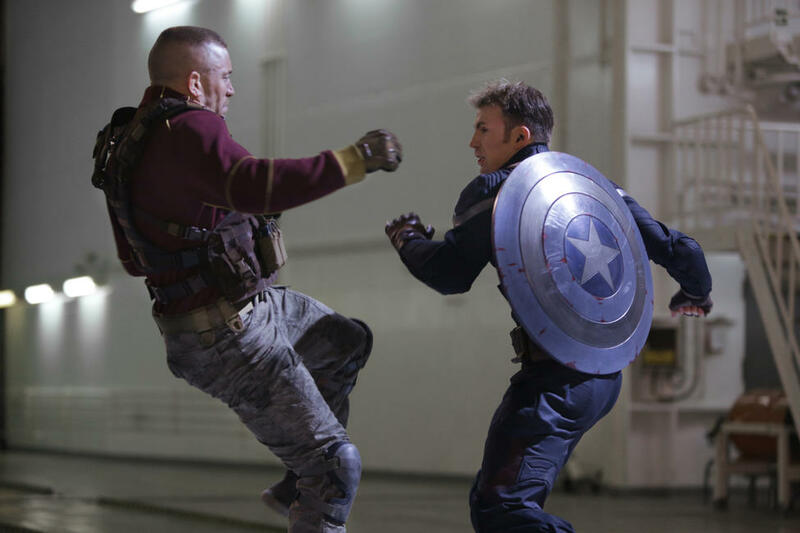 George St-Pierre as Georges Batroc and Chris Evans as Captain America in "Captain America: The Winter Soldier." 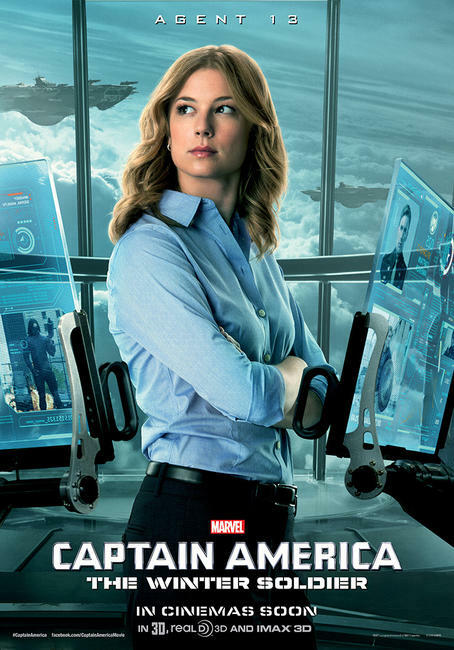 Emily VanCamp as Agent 13 in "Captain America: The Winter Soldier." 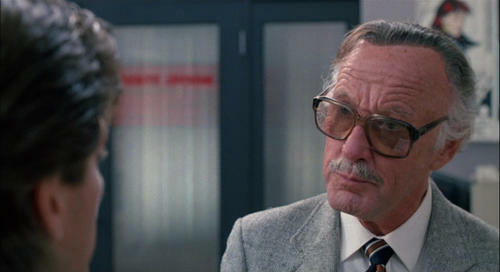 Maximiliano Hernandez as Jasper Sitwell in "Captain America: The Winter Soldier." 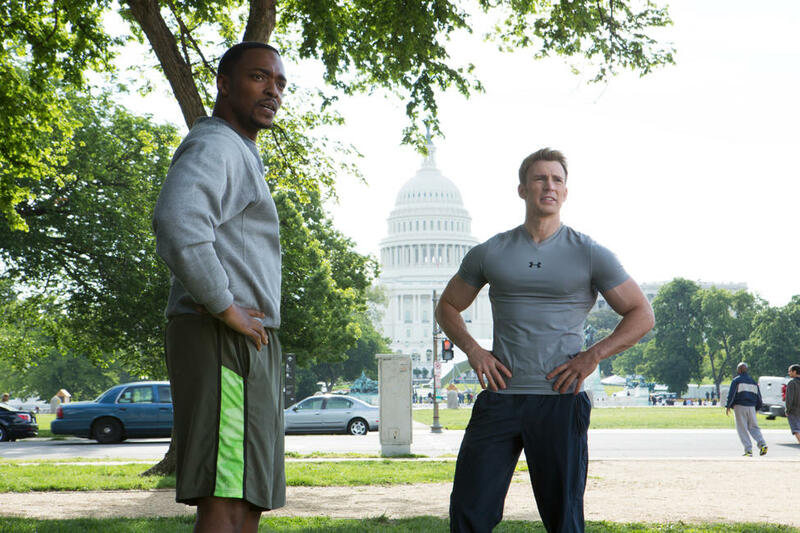 Anthony Mackie and Chris Evans in "Captain America: The Winter Soldier." 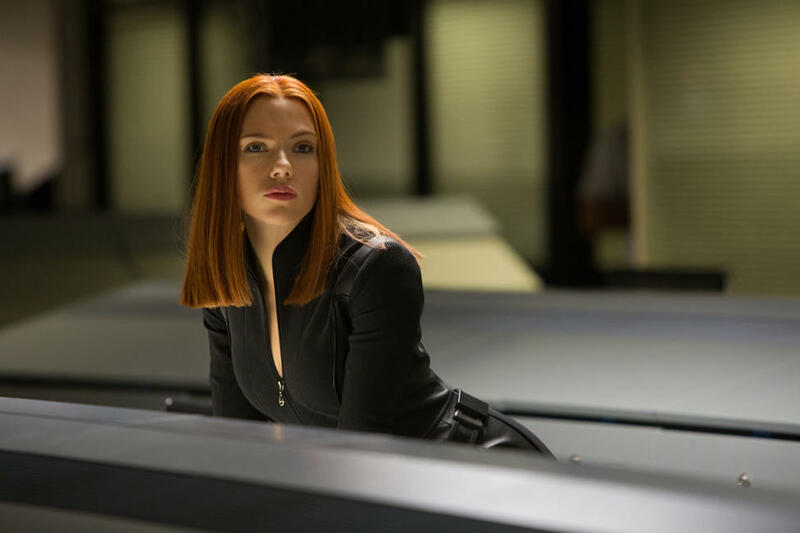 Scarlett Johansson in "Captain America: The Winter Soldier." 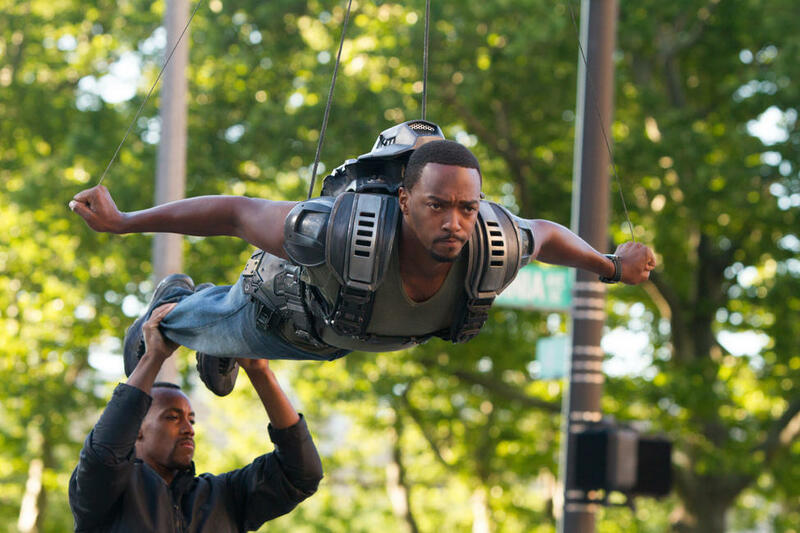 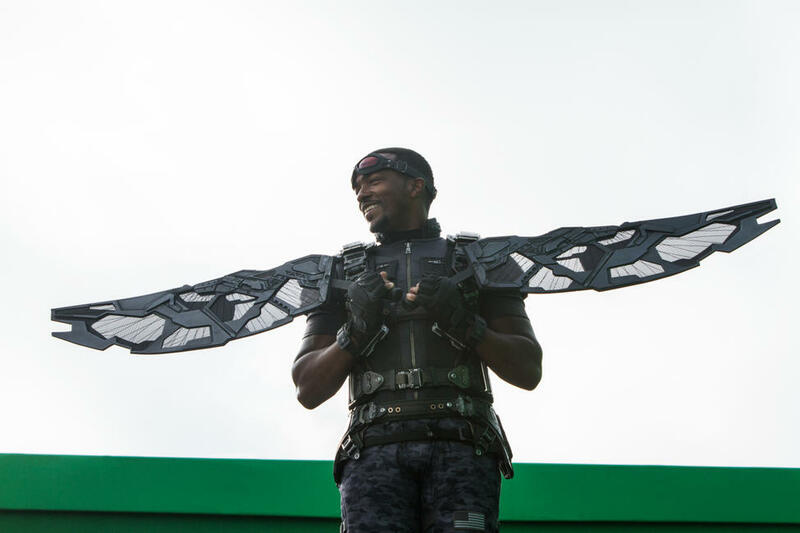 Anthony Mackie on the set of "Captain America: The Winter Soldier." 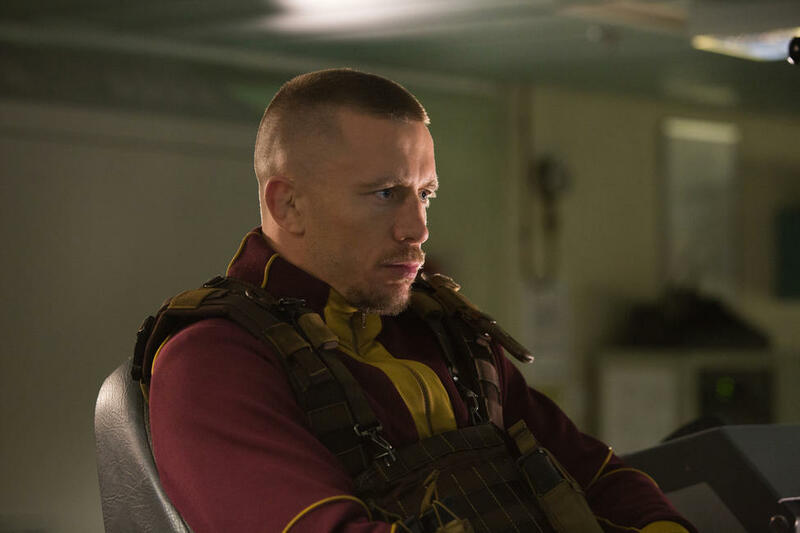 George St-Pierre as Georges Batroc in "Captain America: The Winter Soldier." 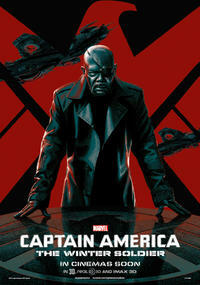 Chris Evans as Captain America and Samuel L. Jackson as Nick Fury in "Captain America: The Winter Soldier." 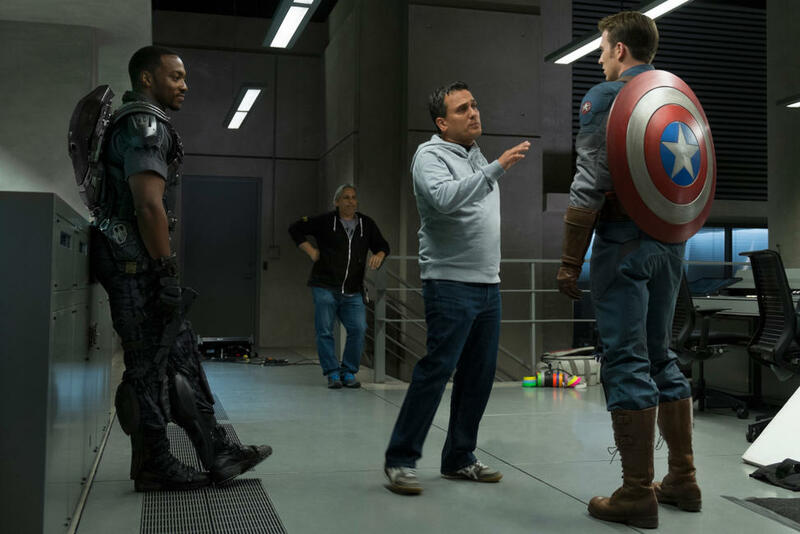 Anthony Mackie, director Joe Russo and Chris Evans on the set of "Captain America: The Winter Soldier." 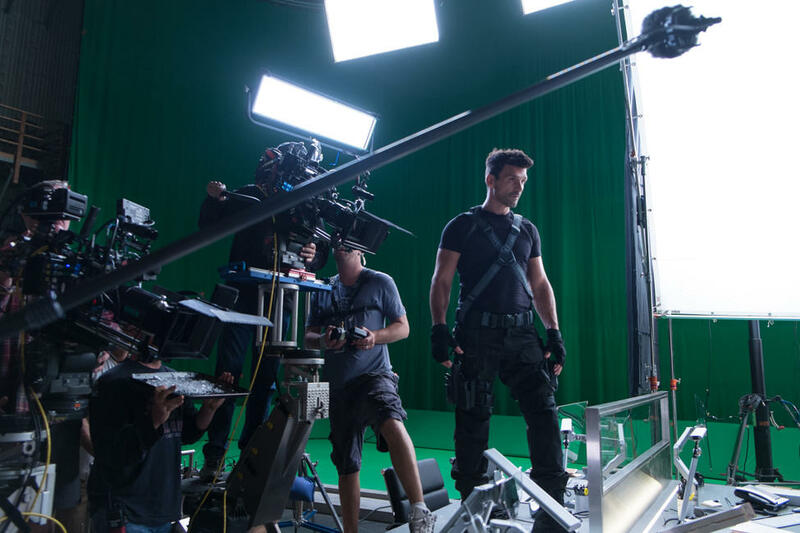 Frank Grillo on the set of "Captain America: The Winter Soldier." 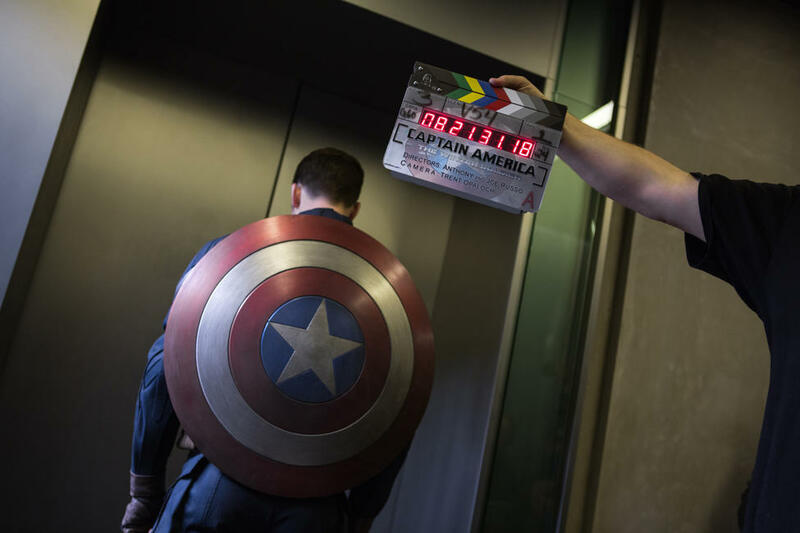 Chris Evans on the set of "Captain America: The Winter Soldier." 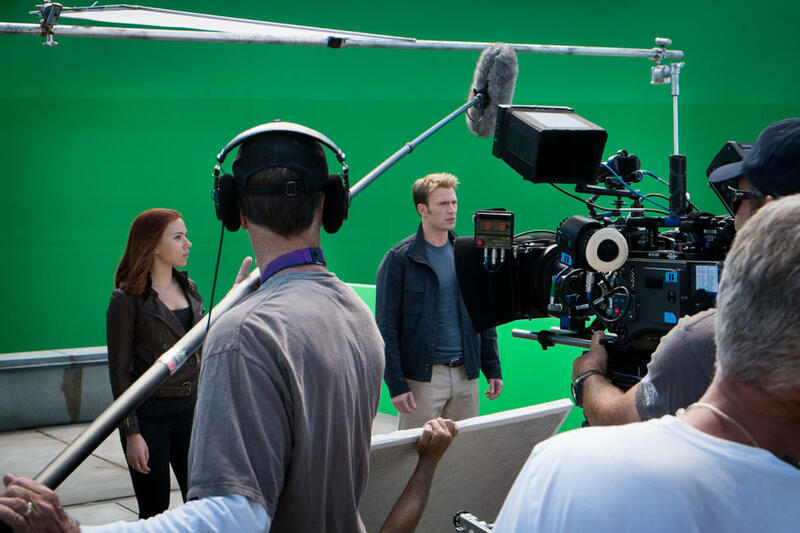 Scarlett Johansson and Chris Evans on the set of "Captain America: The Winter Soldier." 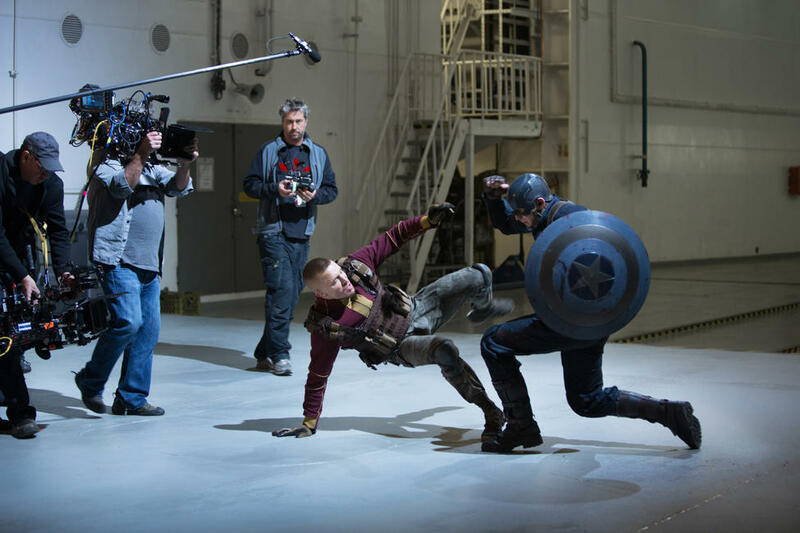 Georges St-Pierre and Chris Evans on the set of "Captain America: The Winter Soldier." 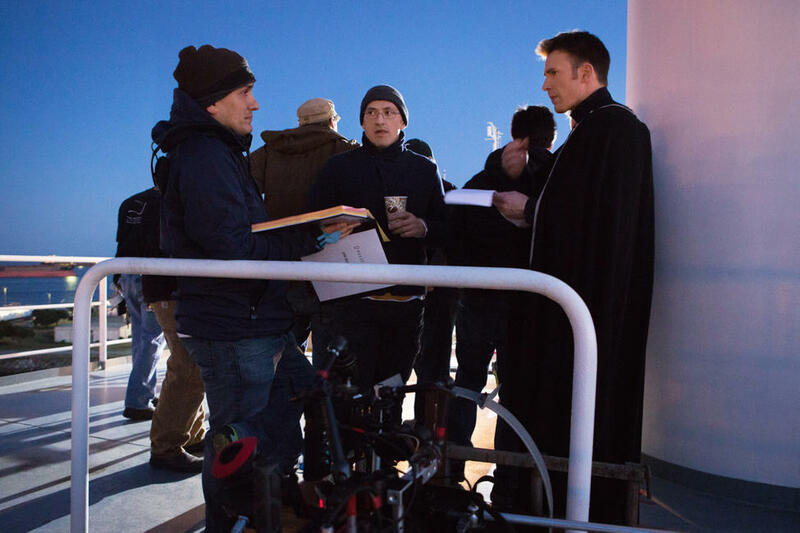 Director Joe Russo, director Anthony Russo and Chris Evans on the set of "Captain America: The Winter Soldier." 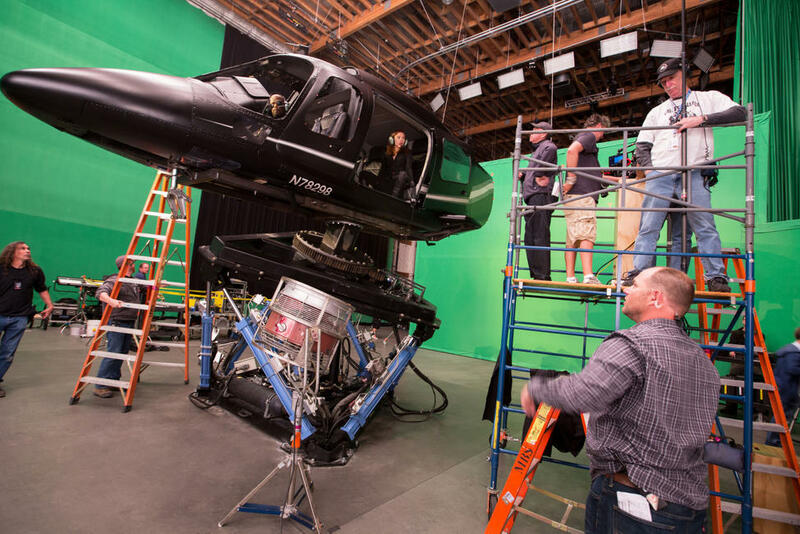 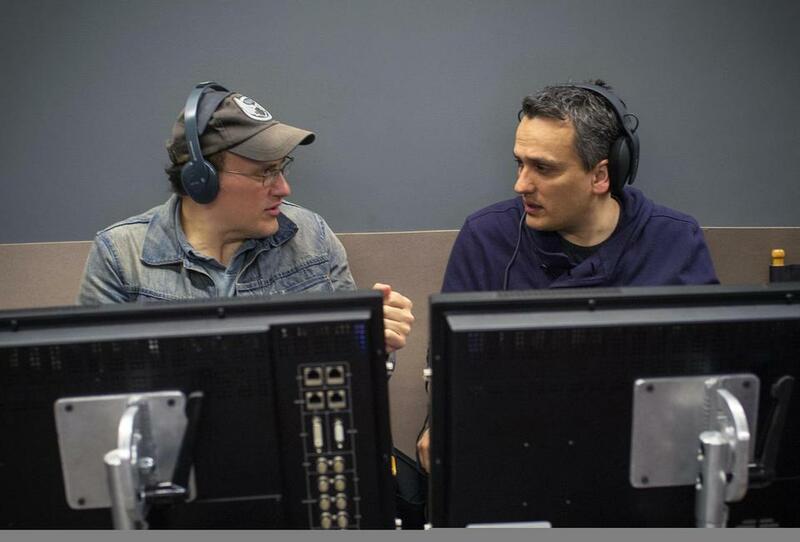 Directors Anthony Russo and Joe Russo on the set of "Captain America: The Winter Soldier." 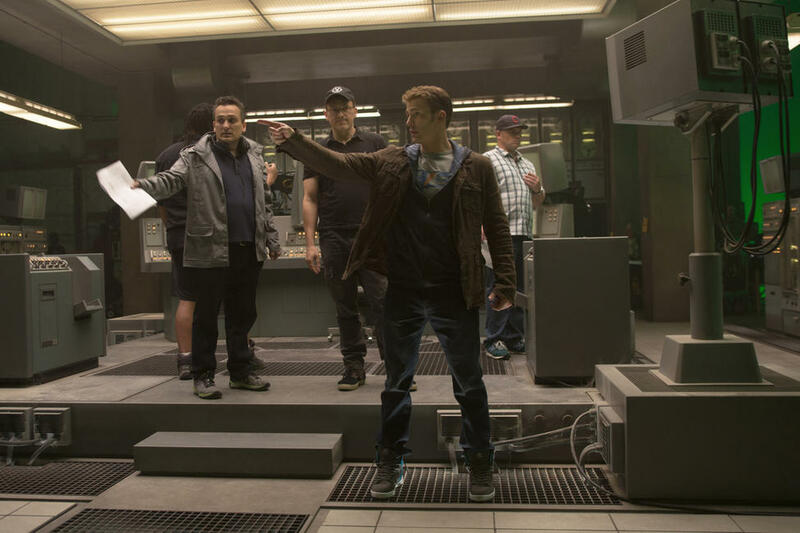 Cobie Smulders and director Anthony Russo on the set of "Captain America: The Winter Soldier." 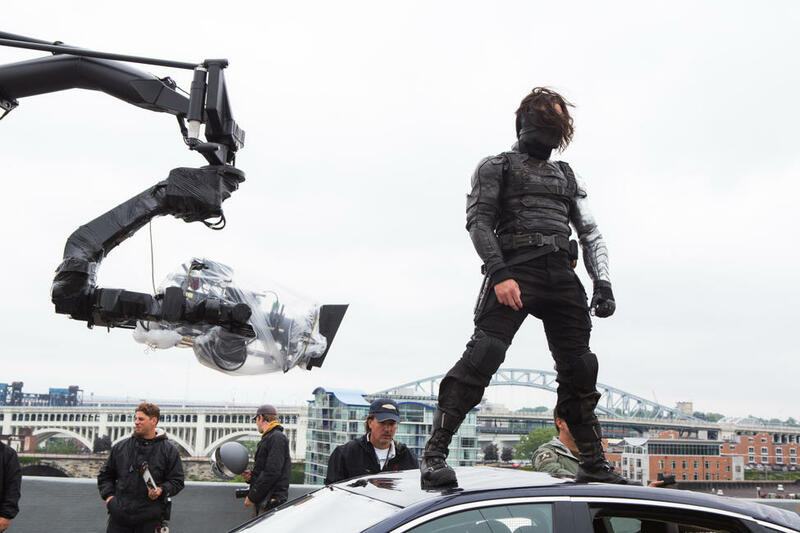 Sebastian Stan on the set of "Captain America: The Winter Soldier." 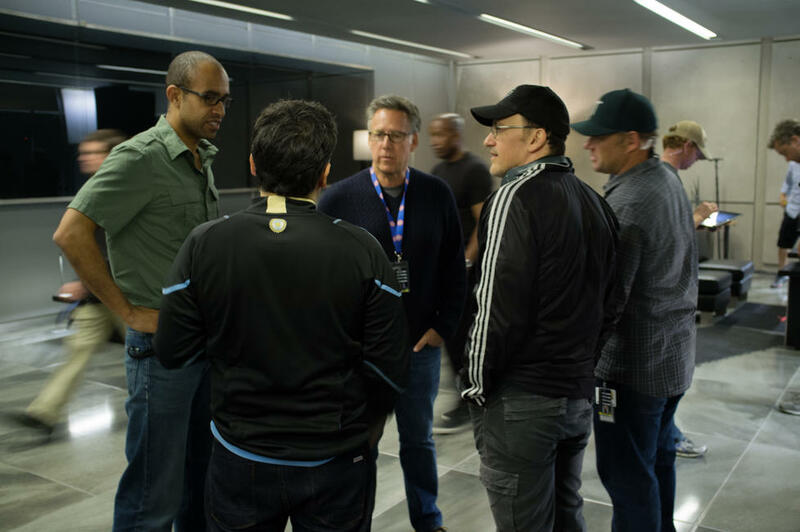 Producer Nate Moore, director Joe Russo and director Anthony Russo on the set of "Captain America: The Winter Soldier." 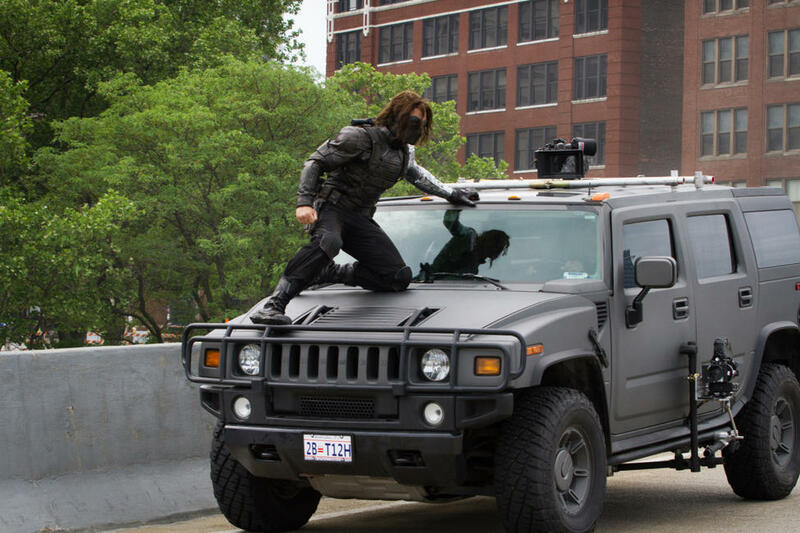 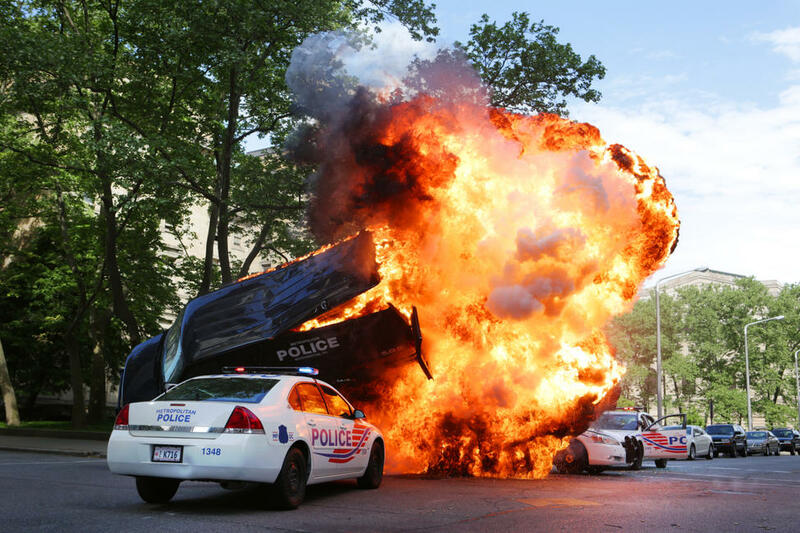 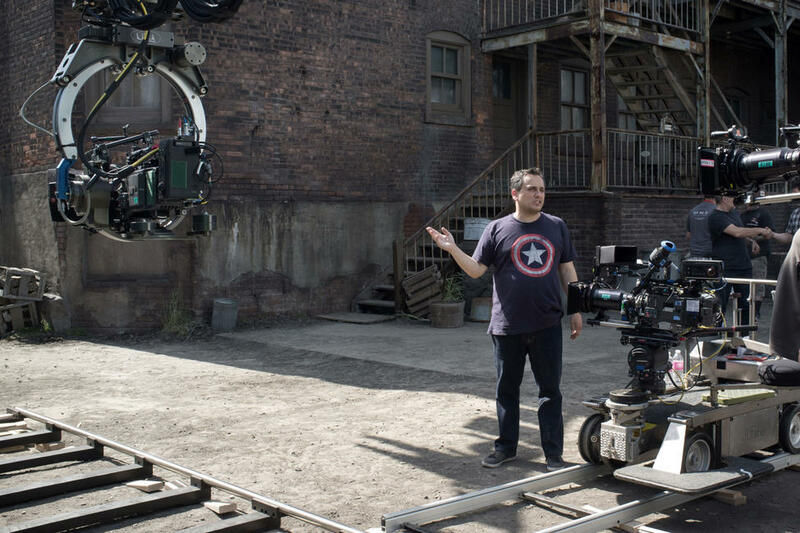 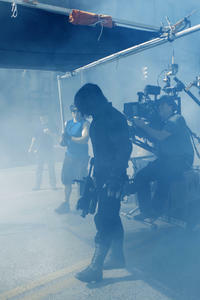 Director Joe Russo on the set of "Captain America: The Winter Soldier." Samuel L. Jackson and Scarlett Johansson on the set of "Captain America: The Winter Soldier." 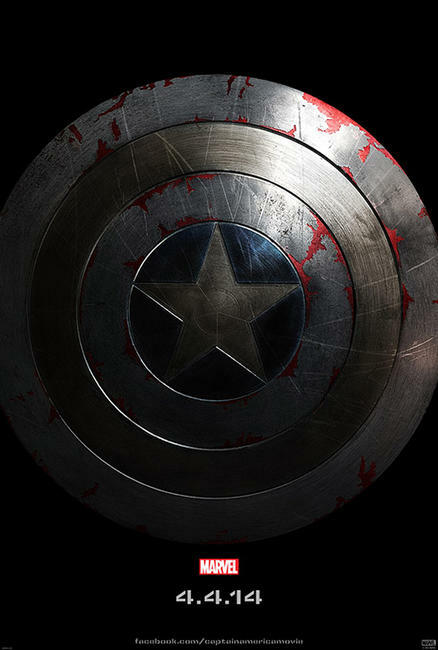 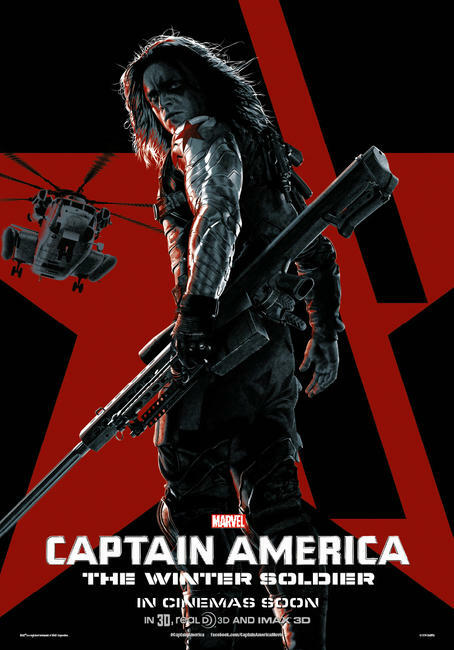 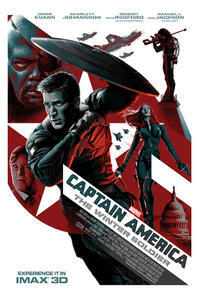 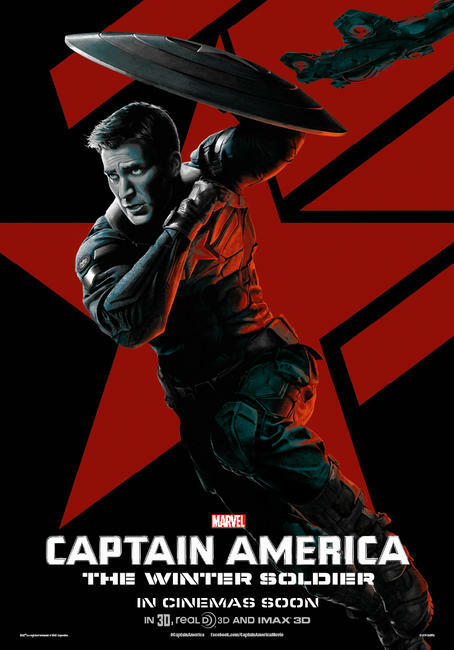 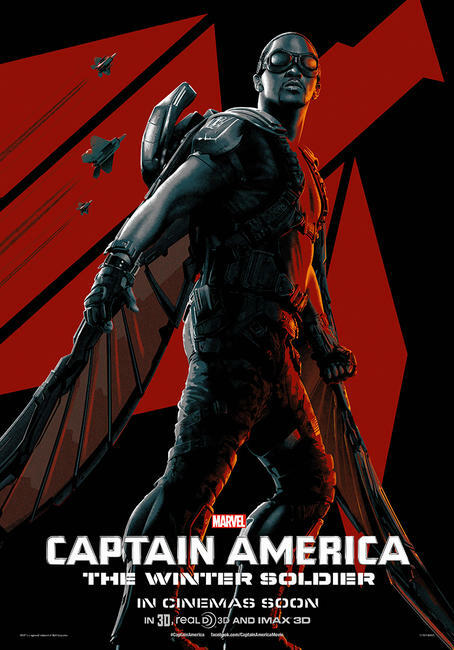 Poster art for "Captain America: The Winter Soldier."